During the whirlwind of glitzy soirées, airport delays and copious shopping, everyone should take time to wrap up in something snuggly. 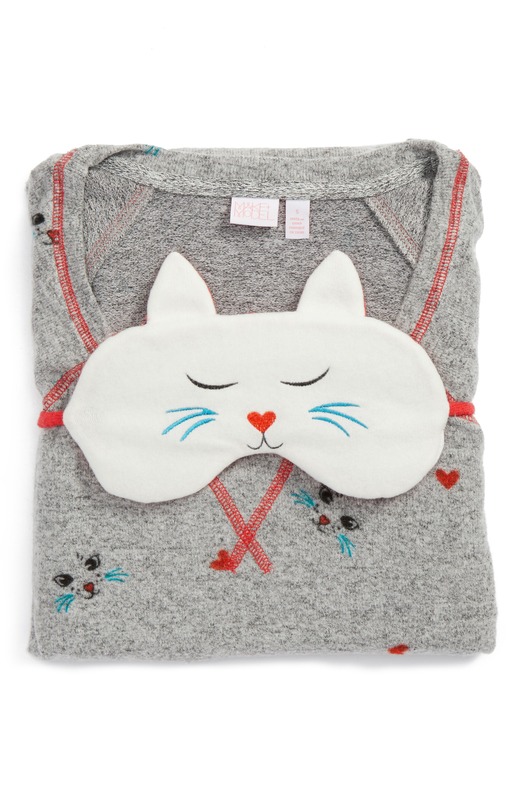 We’ve gathered an assortment of the season’s most comfortable sleepwear to indulge your holiday hibernation (all pair well with cookies and cocoa). Ahead, find our favorite sets for wearing around the house on those days when not getting dressed is the most luxurious gift. 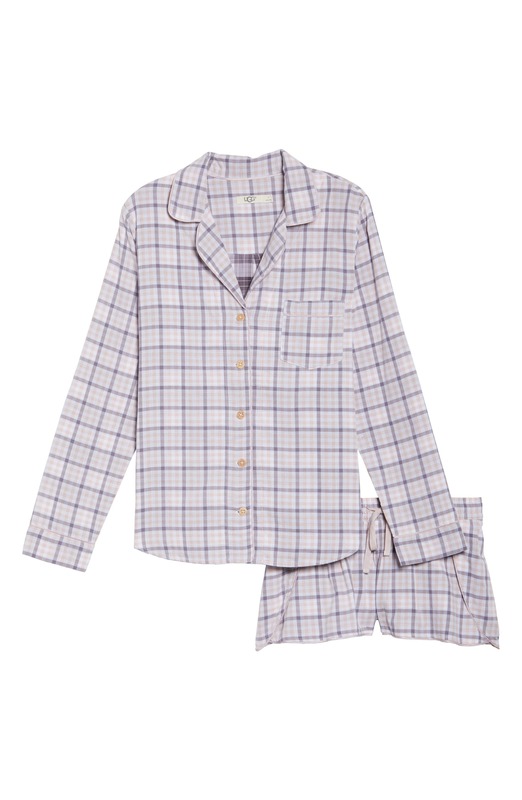 For traditional winter sleepwear, try Make + Model’s plaid sets. 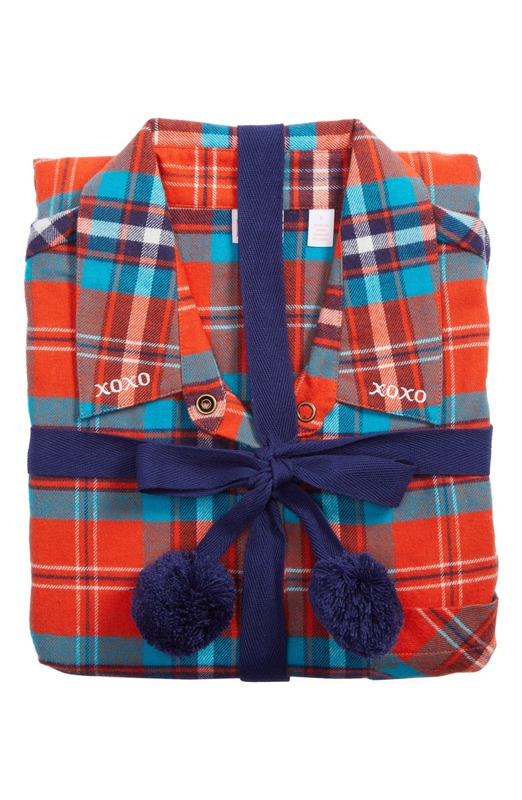 The super-soft flannel is breathable and will keep you warm through every toss and turn—plus, the embroidered collar makes for a super-sweet detail. 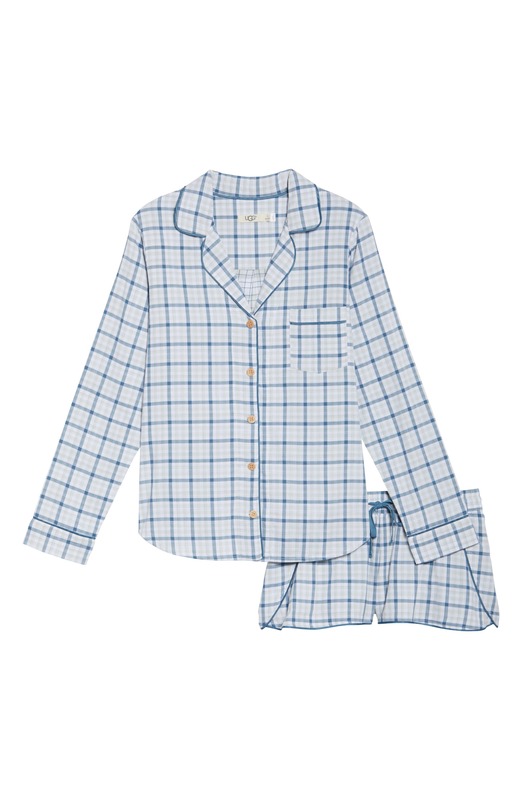 If less cutesy and more luxe is your sleep style, treat yourself to bedtime refinement by J.Crew. With contrast piping and a menswear-inspired silhouette, this elegant set is a classic to carry you through the new year and beyond. We’re always on board for a holiday theme, which is why we love Make + Model’s festive long johns. The whimsical prints are perfect for opening presents on Christmas morning and will make you feel like a kid again. 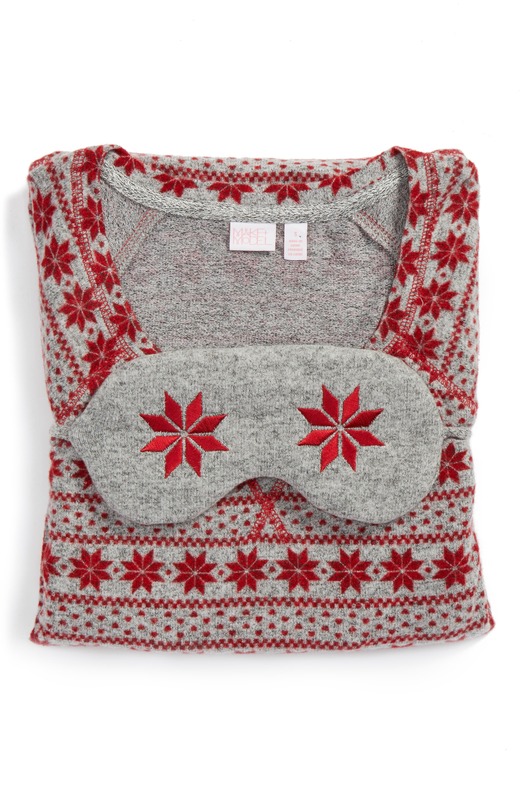 Likewise, these stretch-knit Make + Model girlfriend pajamas are made even more adorable with a matching eye mask. Get a pair for your sister, your daughter and your best friend to spread the holiday spirit. This classic Rails duo will have you canceling plans in favor of a night in under the duvet. The incredibly soft material is reminiscent of your favorite plaid button-down, but made even better thanks to the matching drawstring pants. Migrating to warmer climates this holiday season? All the more reason to indulge in a shorts set by UGG. Made from double-cloth cotton, the classic, colored checks will keep you comfortable, whatever the weather.